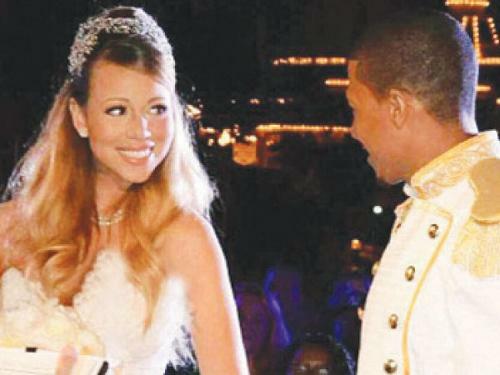 The couple took their annual tradition of recommitting their love to one other to a whole new level for their fifth anniversary on April 30 by taking over the world-famous theme park in Anaheim, California, for a fairytale ceremony and Nick admits they were both excited at the prospect of wearing Prince and Princess Charming gear. Nick, 32, and the 'Triumphant' hitmaker also wanted to share their special moment with their two-year-old twins Monroe and Moroccan, whose birthdays fall on the same day. "And the thing was, that was great, but we didn't have the opportunity to invite family and friends because we were out there, so we were like, this time, we need a place that everyone can come to. And, you know, shut down Disneyland. "We both like to dress up, that's what we love to do and that's keeping that fun going." While enjoying the once-in-a-lifetime event, the 'America's Got Talent' host doesn't know how they will top this year's extravagant trip when their sixth anniversary comes around. He joked: "I don't know what we're gonna do next year, I think we're just gonna keep it simple. Maybe we'll do hillbilly wedding or something." Mariah, 43, paid tribute to her husband and their twins on Twitter before the ritual in front of Cinderella's castle last week. She wrote: "Happy 5th (!!!!!!) Anniversary to the Best Husband in All The Land & 2 years ago pon de delivery... (sic)"